Is this a venus flytrap seed? Bought some seeds online. I'm not entirely sure if they are VFT seeds or not. They produced mucilage when I first watered them. Help!! Re: Is this a venus flytrap seed? 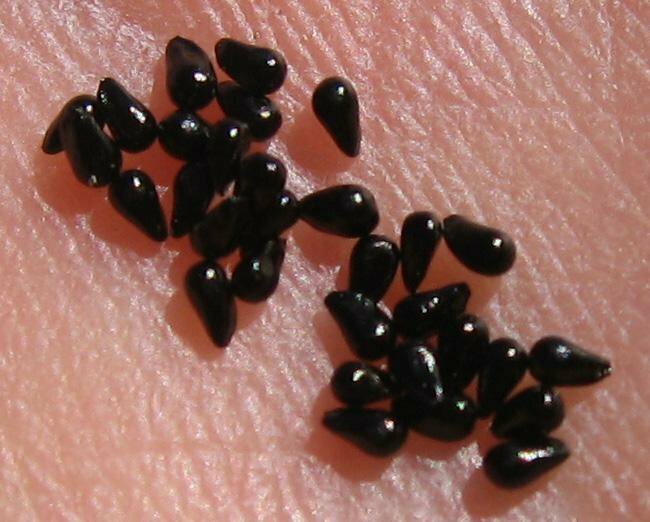 Compared to a poppy seed, how big were they? I don't think they should be producing white like that. Mine don't. Note the fingerprint for size. I don't think they're real. We have the seed bank here. You can also put in a request for seeds ahead of time, so in spring maybe someone here can sell them to you. You could also buy them on flytrapstore.com. it seems a lot of people have been getting scammed lately. As a previous owner of a Chia Pet I can tell you that chia seed makes a gel like that when its hydrated so that may be what you have. Looks like you got scammed.